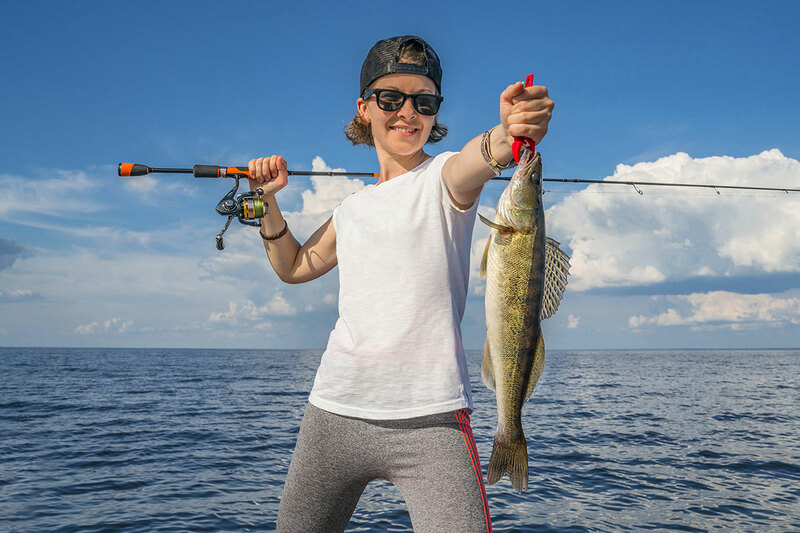 Saginaw Bay walleye and perch were caught off White’s Beach. 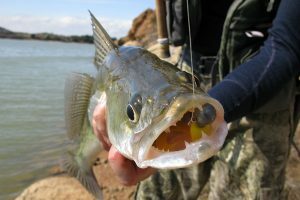 The walleye anglers were going about five miles out while the perch anglers were heading north towards Palmer Road. Some perch were caught in six to eight feet off Newman Road and Townline Road. They had to do a lot of sorting but a few keepers were mixed in. Anglers were heading out about five miles off Erickson Road and fishing in 18 to 20 feet. The hot ticket was a Wonderbread spoon tipped with a minnow head. Linwood, they were heading out three to four miles and fishing in 18 feet however watch out for the first pressure crack which is very active and about four feet wide. 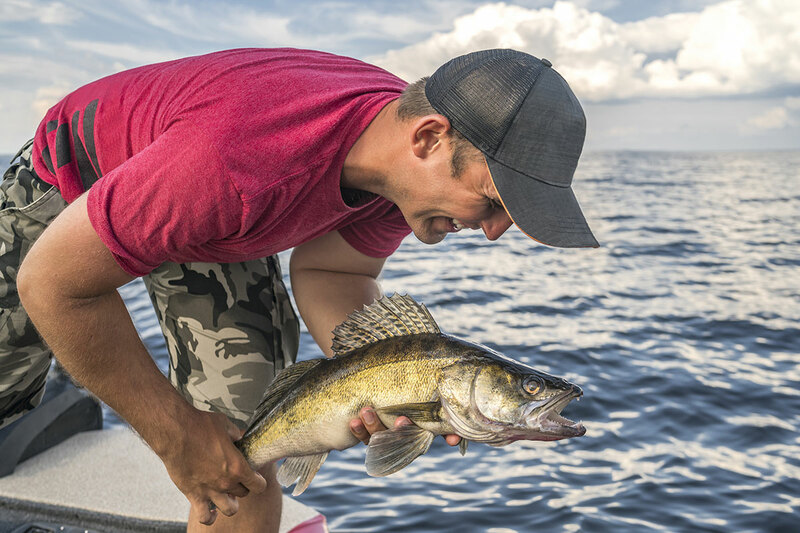 Walleye were caught in the evening about four miles off the Bay City State Park, in 14 feet northeast of Spoils Island, and six to seven miles north of Finn Road. Vanderbilt Park is still the best spot for perch with some fish measuring up to 14 inches. A few even reported limit or near limit catches. For the best success, fish early to mid-week and get out there very early in the morning. Those fishing out of Sunset Bay and off Thomas Road are going all the way out to Buoys 1 & 2 which is 12 miles out and there are all kinds of pressure cracks out there. 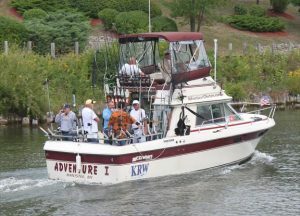 Fishing pressure from Sebewaing to Caseville was slow. A few walleye anglers were fishing the Slot from Fish Point up to the islands. 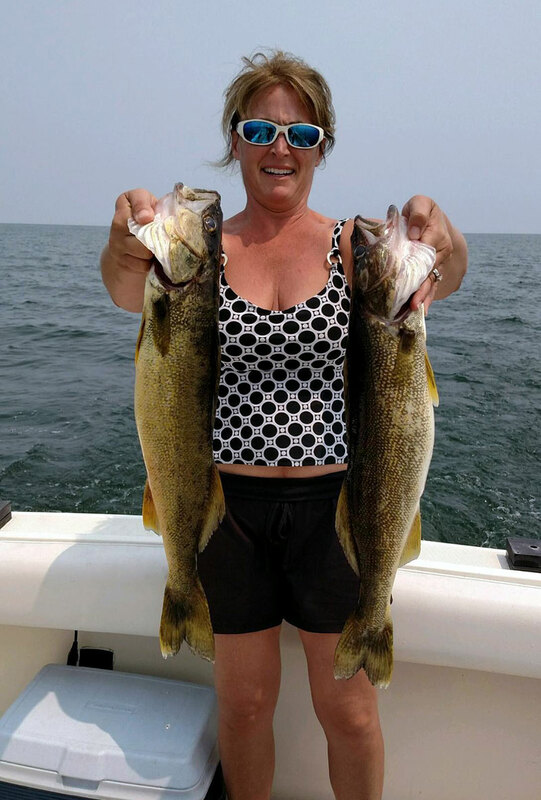 For those wanting to fish close to shore, some lake trout were caught near the pier at Caseville. Saginaw River has been slow from one end to the other. A few nice perch were caught near the Cement Plant in Essexville in the evening. Walleye anglers were fishing off Wickes Park but catch rates were slow. Au Gres Area some anglers were fishing the river and the end of the breakwall, but not really catching anything. 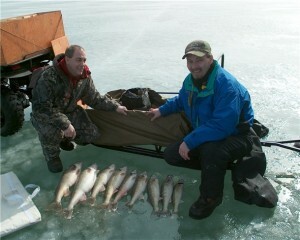 Those fishing off Palmer Road were getting some walleyes and a few bigger perch in waters 10 and 22 feet deep. 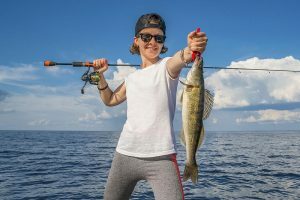 Tawas Area fishing was generally slow with only a few small perch taken in 18 feet and a couple walleye found in 22 feet. Anglers out fishing this winter might want to follow this tip to eliminate jig spin – which can enhance your bluegill fishing. It is difficult for bluegills to eat a jig when it’s spinning at the end of a line – try these three simple activities to help combat this problem. 1. Stretching out the line is one of the easiest things you can do to prevent jig spin. If you are using a spinning reel just get in the habit of stretching out the first couple of feet of line every time you bring the jig up. 2. Balancing your line and the jig is another easy thing you can do. When you have balance your line will hang straight because of the weight of the jig. 3. Sometimes switching up your equipment can also help to eliminate jig spin. Small plastic reels have been shown to produce less spin and may be something you want to consider. For even more information on fishing for bluegills, visit their page online.